Asian stock markets plunged overnight and European stocks have followed suit Monday with most of the major European averages down between 3.5% and 6% on the day. The major rise in risk aversion has seen the dollar become a major beneficiary (after the yen) with a major repatriation of funds back into dollar denominated assets, as concerns rise over the global economy’s ability to withstand a major US slowdown or recession. President Bush’s stimulus plan revealed last Friday has not impressed markets which regard the rescue effort as being too little too late. We’re moving into rather uncharted risk territory as equities officially enter a bear market, but growing doubts about the Asian and European economy’s ability to withstand a US recession is certain to benefit the greenback, as long as the current sentiment persists. Markets have already priced in at least a 50 basis points cut by the Fed next week, but traders need to be alert for any comments or announcements from Central Banks in the coming days because officials may attempt to allay fears and calm markets. The euro may potentially fall sharply against the dollar in the coming days if this fear overrides the anticipation of aggressive Fed easing and forces traders to the exits prematurely, most of whom are long EUR/USD. We may well see the euro drop to the low of 1.4318 seen in December and it may even decline all the way back to 1.38 over the next week if markets do not stabilise. Economic data, which is sparse this week, will play a minor role in the coming days, when risk aversion levels are certain to dominate market direction. Given the increased levels in volatility, currency trading will prove very erratic and dangerous. The increased risk will see EUR/USD go lower, possibly much lower, in the coming days. Expect a retreat to 1.4330, below which key support levels are likely to be severely tested. The euro will need to hold this level if it is to have any chance of gaining momentum as we move closer to the Fed’s key rate announcement on January 30. Strategy: sell EUR/USD on failed rallies, with limit prices of 1.4450, 1.4410, 1.4330 and 1.4210. Key upside resistance is now at 1.4590 and stops should be placed just above this level. Sterling has had a mixed day, falling 0.5% against the dollar but rising significantly against the other high yielding currencies and rising modestly against the euro. House prices declined again in January (-0.8%) according to the latest survey from the UK Company Rightmove. In other data, the Bank of England reports money suppy widened to a 12.3% annual rate in December, from 11.7% in November. Markets were expecting a narrowing to 11.5%. UK public sector net borrowing narrowed to £7.8 billion in December, while the public finances widened to £17 billion, both figures coming in higher than expectations. Sterling now awaits Wednesday’s first estimate of quarter 4 GDP and the release of the Bank of England’s monetary policy minutes. Sentiment abour the state of the UK economy is likely to worsen the longer the current equity market turmoil continues and will put added strain on sterling. I retain my bearish bias on cable, but would hope for a bounce from the current rate before selling down again. Cable broke below support at 1.9480 Monday morning but has managed to stay above 1.9450 since then. Any rally back above 1.96 should offer a reasonable entry price, but traders need to be cautious in case of comments from Fed officials over the coming days that might have the impact of derailing the dollar. If you are already short on cable, you may want to stay in the market, because the risks have shifted more to the downside. Sterling could yet get back to below 0.74 against the euro, particularly if the sell-off in EUR/USD accelerates. Strategy: Sell cable on failed rallies to around 1.9650, with downside target prices of 1.9540, 1.9480 and 1.9370. The yen has had a tremendous day Monday, wiping out all before it and hitting a fresh 2.5 year low against the dollar. The Japanese currency has also sent the euro back to Y153, gaining almost 3Y on the day. A dramatic rise in risk aversion triggered by pummelling stocks has forced the liquidation of risky investments and an increased flow of funds back to Japan, which has fuelled the yen’s rally. Stiff support is expected for the US currency at levels close to Y105 and progress from here may prove difficult. There is also the risk of possible intervention by Japanese officials, likely to be restricted to verbal warnings at this point, as concerns grow about the adverse impact a sharply stronger yen has on Japanese exporters and the wider Japanese economy. With markets in the US closed today, the prevailing negative sentiment is likely to carry through to Tuesday at least and the yen is likely to remain strong. Give the risk of a sharp reversal, there is little value in buying the yen at current prices and traders may be better advised to await some market stabilisation before executing any yen trades. 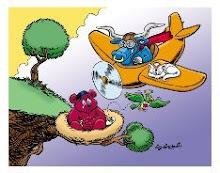 With the Fed due to deliver a rate cut next week, markets will be hoping for a bounce in the lead-up to that decision, particularly if the current sharp sell-off on equities exhausts itself. Strategy: Await market stabilisation (one full day of recovery in equities) and rise in risk tolerance and then buy EUR/JPY. Sit on sidelines for now.